I always knew that Broadway was haunted. Apparitions of playwrights, producers, actors and famous characters skulk around theaters and are as eternal as the neon lights that electrify the Great White Way. Each season we are revisited with the ghosts of productions past, but this fall two New York City theaters are being visited by the spirits of iconic vocalists past. On Broadway, Janis Joplin and her musical influences rock The Lyceum Theatre from floor to roof, and Off-Broadway the music of one of her influences is receiving its day. Lady Day, the musical about Billie Holiday, provides its audience with a stunning visual and aural lesson in tragedy and triumph. Anyone who has seen or read Lady Sings the Blues knows the calamitous story of Billie Holiday’s life. Overflowing with agonizing memories, abusive men and addiction, the pain Holiday experienced habitually showed in various aspects of her life – most often in her music. Her sound carried listeners through the valleys of the blues transforming agony into musical ecstasy. You don’t just hear Billie Holliday…you feel Billie Holiday, and that essence is fabulously represented in this production. Lady Day is an overwhelming emotional tribute to the legacy of Billie Holiday. The musical takes place at a theater in London. Billie Holiday and her band are playing the final leg of her European tour. The first act consists of the rehearsal and the second act is the show. Woven between 25 of Holliday’s most famous songs is the recounting of her troubled life. Through music Billie tries to fight the demons haunting her in rehearsal, but winds up still fighting them during the show – something I suspect that happened repeatedly during her brief life. As Billie exposes her scars, the audience bears witness to an unflinching portrait of pain, but it is how her hurt is translated into song that makes this production shine – each song helps to build the story. Like Billie Holiday’s music, this production burrows underneath the skin and lingers in the pit of your gut. 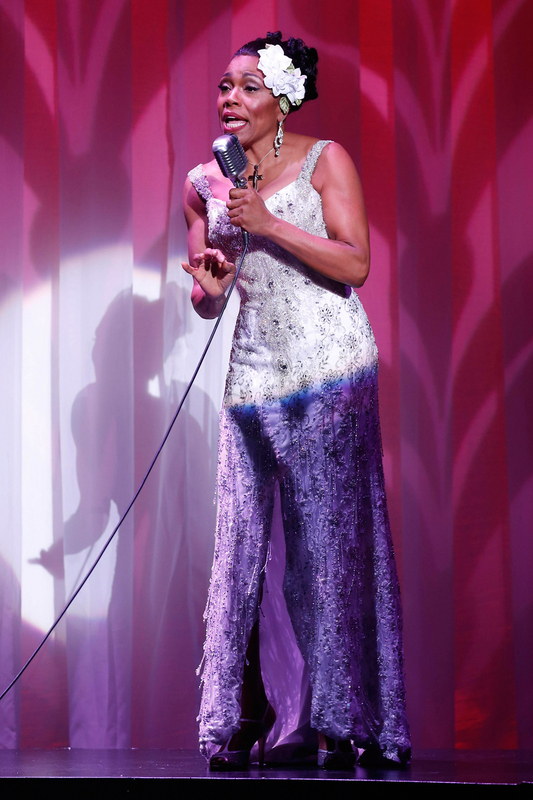 The success of this musical is largely due to the performance of Grammy-winner Dee Dee Bridgewater. She plays the role of Billie Holiday as if she is possessed and her voice is spot-on. I have never heard anyone capture the timbre of Lady Day as she has. Bridgewater is simply amazing; you won’t be able take your eyes off of her. And you won’t soon forget Lady Day the musical. All artists are tasked with the frightening aspect of revealing their souls to the scrutiny of the masses, but there is something in the way a jazz musician does it that is undeniably raw and palpable. Billie Holiday’s voice was an instrument that could rival the bent notes and artistry of any of the jazz greats. She was the voice of her time. Her influence can still be heard in singers today. A good story and good music will always yield promising results. It is as simple as saying one plus one equals two. 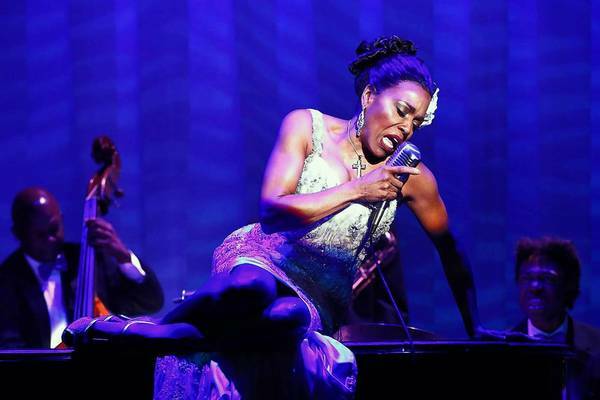 At The Little Shubert Theatre, the life of Billie Holiday (which includes her music) and the brilliant showcasing of Holliday’s work (courtesy of Dee Bridgewater) make for compelling theater and two good reasons to see this show.